This opinion piece was published in various newspapers across Europe (FAZ, Le Figaro, Le Soir, Corriere dela Serra, the Times, NRC, Il Mundo). The authors are not responsible for the titles chosen by those newspapers. All authors write in a personal capacity. In June 2016, British citizens voted to exit from the EU. During two years, negotiation on the terms of the divorce made progress, but not the equally important design of the future relationship. Over the same period, the shifts underway in the global geopolitical landscape have intensified, taking us towards a world in which regional relationships might matter more than ever. Earlier this month, the UK government finally tabled a serious proposal for the country’s future relationship with the European Union. The substance of the UK government White Paper is worth considering constructively. First, it sets out what the UK wants and what it does not want. Second, it aims to take into account political and legal constraints on both sides. Third, it is detailed enough to allow precise discussions. Finally, it recognises that both parties share a common interest in preserving strong economic and security ties. 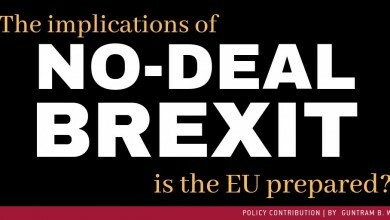 On goods, the UK proposal can be thought of as a 21st century Free Trade Agreement where rules of origin are replaced by a new and sophisticated customs cooperation regime and common regulation for specific products. It is an idea worth exploring, though there are devilishly complex issues to negotiate. In particular, it must work well enough to avoid the reemergence of tensions in Ireland. Also, any innovative customs agreement will require strictness in implementation: the latest report by the EU anti-fraud office provides embarrassing evidence of UK-based fraud. On services things are less clear. The White Paper is unequivocal that the UK won’t enjoy full access to the European single market but it aims at a “deep” relationship. What this means is up for discussion and the quid pro quos are not always clear. The White Paper includes principled but vague and non-committal statements about future regulation in the UK. Difficult negotiations lie ahead. On labour mobility, the EU must decide whether to stick to the line that access to the single market, even for a limited set of products, is unacceptable in the absence of full labour mobility. The doctrine known as the inseparability of the four freedoms (for goods, services, capital and labour) is not based on solid legal or economic foundations but it has served as a basis for political agreement between the 27 and is embedded in treaties with third countries like Norway or Switzerland. Admittedly, any change to this doctrine would likely have implications for the EU’s relation with these two countries as well. On governance, the White Paper is making some significant concessions. The proposed arrangement would involve political dialogue and technical comitology, without the UK having a formal vote, as well as recognition that UK courts would have to pay due regard to the case law of the European Court of Justice. Both will be hard to swallow for some in the UK, but something like them is inevitable if the UK is to have access to some elements of the single market: market integration requires regulatory consistency and the unavoidable truth is that the EU is, and will remain, a significantly more powerful regulator than the UK due to its relative size. Because it is structured around goals rather than red lines, and because it is detailed and sophisticated, the White Paper puts the ball in the EU court. Until now, the EU has not produced anything similar. So far, the Commission has, understandably, kept a tough line. It did not want to start discussing the future relationship before the basic terms of the divorce had been settled, and it did not want to show its cards before the UK had said what it was ready to commit to. Indeed, it would have been foolish for the 27 to start making concessions when the possibility of a regulatory race to the bottom could not be ruled out and the UK was still discussing with itself. The UK White Paper could be a game changer. But for this to happen, the UK will have to be able to bring its current internal dispute to a conclusion and pass a deal that commands the necessary parliamentary support. The EU, in turn, will need to take a long-term view and say what kind of relationship it wants to establish with its neighbour. Europe (of which the UK will obviously remain part) is at crossroads. It faces much bigger economic, diplomatic and security challenges than most imagined even two years ago. Neither Mr. Putin nor Mr. Trump nor Mr. Xi have sympathy or benevolence towards us. Nor does Mr. Erdogan. So it’s no time for Europe to inflict wounds on itself. Safeguard clauses – including a say 10-year probation period that would make the future agreement reversible if the UK were to opt for regulatory competition. A financial contribution to the EU budget commensurate with the depth of the relationship. Negotiating such a deal is likely to be a difficult process that might well be impossible to achieve over the next few months. But agreeing on a direction should be possible by the autumn. And a two-year transition period until the end of 2020, during which the UK would stay in the single market and the customs union, would allow for negotiating a sensible relationship for the future that is in the geostrategic interests of everyone in this part of the world. Jean Pisani-Ferry is Professor at European University Institute and Mercator senior fellow at Bruegel, Norbert Röttgen is Member of German Parliament, André Sapir is Professor at Université libre de Bruxelles and senior fellow at Bruegel, Paul Tucker is fellow at Harvard Kennedy School, Guntram Wolff is Director of Bruegel.